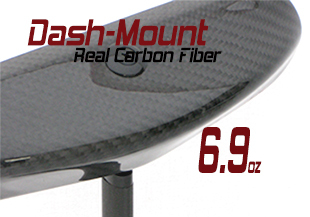 Dash-Mount is formed using two layers of carbon fiber 2x2 twill to give it incredible rigidity. Its other great quality is lack of weight. The housing alone weighs only 35g or 1.2oz. When completely assembled Dash-Mount in carbon fiber tips the scales at 150g or 6.9oz (approximate, as each mirror is handcrafted). The plastic variant is a bit more weight by a few grams. Most importantly, the overall design is clean and aerodynamic. 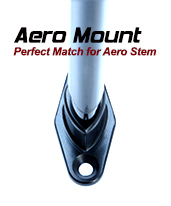 All variants of the Dash-Mount, including the Compact Dash-Mount, feature a lightweight stem which at each end locates to a ball stud. 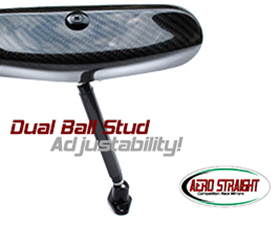 The two ball studs allow you so many adjustment possibilities. As you'll notice, we neatly tucked the top ball stud and flange inside the housing where it is out of the airflow. Thinking about versatility and practicality, we offer you several options. 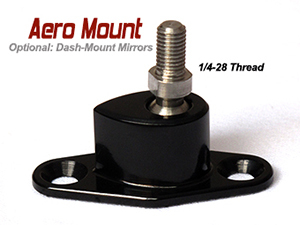 You can order the full-sized Dash-Mount in carbon or plastic – carbon is fitted with a 4.0-inch carbon fiber aero stem for Prototype, Production and full-body categories where the sleek Dash-Mount mirror is exposed to direct airflow at competition speeds. 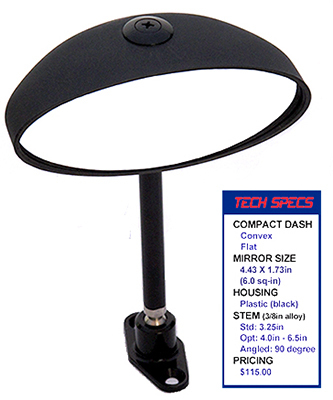 Dash-Mount mirror also suits vintage sports cars, hot rods and classic muscle cars. 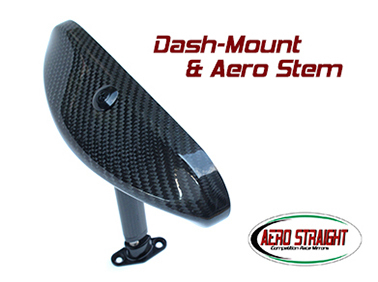 Pricing for carbon fiberDash-Mount rests at $250.00 and includes a 4.0-inch carbon fiber aero-shape stem. 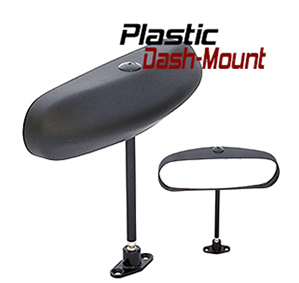 We're talking $170.00 for the black plastic Dash-Mount and only $115.00 for the Compact Dash-Mount. 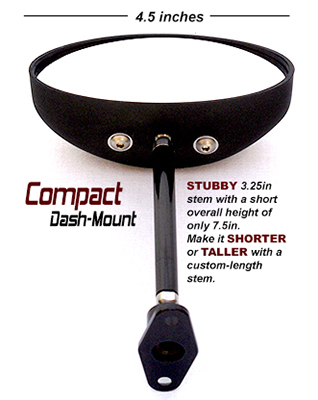 Adjustment: Dash-Mount is easy to adjust using a 1/4in hex wrench (ball end works best). 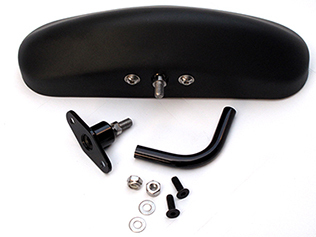 Remove the plastic bung atop the housing then reach the hex wrench through the housing to find the securing nut and ball stud. Slightly loosen the securing nut to allow the housing to move freely. Position the housing to where you want it and retighten securing nut. It takes 90 seconds or less. 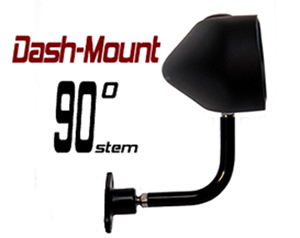 Dash-Mount is designed to be conveniently adjustable. Frank Profera's awesome Lotus on Jay Leno's Garage. 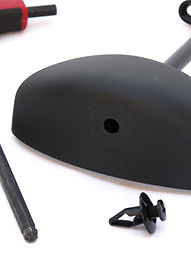 We did a set of highly modified mirrors for the Ronin RS211 as you'll see.